Home food delivery startup ZuperMeal has apparently closed down its operations eight months after it raised seed funding. The ZuperMeal app, when downloaded, is showing an error message. The website of the firm is also not working. Moreover, one of the three co-founders, Balasubramanian Anantha Narayanan, has also joined logistics startup LogiNext as vice president - business development, according to his LinkedIn profile. Narayanan could not be contacted till the time of filing this report. An email query sent to investor Ravi Saxena did not elicit any response till the time of filing this report. Attempts to reach out to other officials in the company were also unsuccessful. 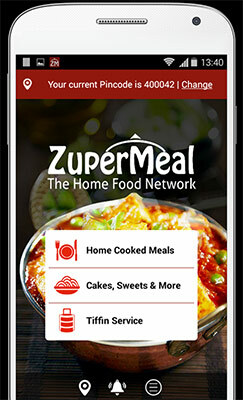 ZuperMeal had received $2 million (about Rs13 crore) in seed funding from celebrity chef Sanjeev Kapoor, Saxena and two unnamed foreign investors in October 2015. The development is yet another reminder of the grim situation that the food-tech sector finds itself in with investors not inclined to fund startups with high cash burn rate. Earlier this month, TinyOwl, a food ordering app, after struggling to restructure its business for several months shut down its operations in 17 cities except some areas of Mumbai. Mobile app Zeppery which allowed users to pre-order food at restaurants and other food outlets also closed down operations in May. In March, Bangalore-based online meal service provider iTiffin.in had stopped taking orders and advised employees to look for jobs. Dazo, operated by TapCibo Online Solutions Pvt. Ltd, closed down operations in October last year. Meanwhile, Zomato Media Pvt. Ltd, one of the early movers in the food-tech space, has scaled back operations in nine of its 23 overseas markets, including the US, as the restaurant search and food ordering startup looks to cut costs and conserve cash amid pressure to turn profitable. ZuperMeal Pvt. Ltd, which ran the ZuperMeal was founded in July 2016 by Pallavi Saxena, wife of Wonderchef co-founder Ravi Saxena, along with Narayanan and Prabhakar Banerjee. The Mumbai-based startup connected home chefs to consumers via its app. It had claimed to have 150 homemakers on its platform to cook 60 to 70 meals a day, at a net margin of 15%. At the same time, some food-tech startups have managed to raise funds. Earlier this month, Eatonomist, an online platform that delivers meals prepared at its kitchens, raised an undisclosed amount in seed investment from MCube Capital Advisors Pvt Ltd. In the same month, online food ordering platform Swiggy had raised Rs 47 crore (around $7 million) more from existing investors, including Norwest Venture Partners, DST Global and Accel Partners. In January, FreshMenu had raised $17 million in Series B funding while First Eat and Cookaroo are among the ventures that have secured seed or angel funding this year. The online food ordering business in India is estimated at Rs 5,000-6,000 crore, growing about 30% month-on-month, according to a report by India Brand Equity Foundation. The sector includes restaurant aggregators, food-ordering platforms, delivery-only players, proprietary meal sellers and cloud kitchens.